I got a quick appointment set-up and our servicer was quick and informative about what he was doing and our current pest situation. Great service. We are bug free! Active pest control is a group of very kind people and very professional. Thank You! Very professional, easy to schedule an appointment and on time. I would recommend to anyone needing a termite inspection. Got report the same day. Fantastic service; very thorough. Extremely nice people. The most mosquito free summer yet! I'm happy so far with Active Pest Control, sometimes I need to call them because pets out of control in my case 🐜 and so far they come as soon as possible and get the job done. Thank you active pets control. The professionalism of the personnel was awesome, their report was on time and precise,thank you for everything. Teresa has a heart of gold and my children adore her. Had tiny critters and now they are finally gone thanks to Teresa and her hubby. They are a down to earth family owned company. I am very pleased with last guy that you sent out. They did the good job in our house. Very happy for his service. The service guy is also very knowledgeable and humble to answer all our questions related pest control.keep it up for good job. Thanks. I have been using Active Pest Control for the past 13 months and I am highly satisfied with their service. They are always professional and courteous in handling all their work. In addition, they are prompt and efficient. They are able to accommodate my times of availability as well as tidy up all their areas of work before leaving their job site. I highly recommend them. I think your tech's and local office should send out emails when there is a change of contact to let the stores and me know who to contact and how to contact them. Lionel (spelling?) came out a couple weeks ago. I could not recommend a pest tech more highly than him. He met and exceeded all expectations. Our technician, Teresa examined our property very thoroughly, noted all the issues that we had, explained the method and treatment she thought was best to address those issues and performed the treatment, assuring us that it has no harmful effects for humans or pets. So far all our issues have been resolved. We had pest control contract before, but we also saw some very healthy and lively bugs and such inside the house, left to our or hunting devices. Truly hoping for continued success with Active. Excellent service,great communication and very friendly employees in all areas! Most importantly, we have had no bugs in our home since our first service about a year ago! I would highly recommend Active Pest Control! 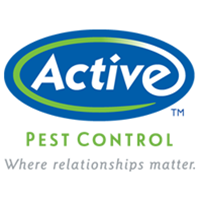 ActivePest has excellent customer service, they are reliable and dependable on getting the job done! Very professional no bug awsume. Friendly & expedient Service. She called almost immediately and explained all services. Tech was polite and took care of some issues I had with ants. The technician was on time, courteous and friendly. He answered the questions I had and completed his task quickly. I appreciated his professionalism. I called back after two weeks of being serviced because we were still seeing bugs. They came readily and evaluate evaluated the situation, did more treatment and it seems to be working. Thanks so much! I asked for interior application when I setup the appointment. The technician came and did exterior and left with coming in to check. Excellent quàlity service, dependable . I would highly recommend to friends and neighbors. I felt this time was very through and professional. Technician arrived on time and was friendly, courteous and efficient! Theresa was so professional and kind. Very happy to be working with her. Very friendly and experienced technicians. Service on time. I am called each time technicians are on the way to service my home. Upon calling for service I speak with a live person. Cheaper than others I called. This was first service visit so experience has been limited. I did have difficulty in getting the service initiated with correct address & was double charged from separate offices. This has been corrected now. Very professional service. They are very thorough. Our office is pleased with there service.